Gwendolyn Ruth (Weir) Swint was born on September 21, 1946 in Detroit, Michigan to Joseph and Hattie Belle Weir both who preceded her in death. She was the second of four children: Joseph, William and Rhonda. At an early age Gwendolyn displayed a keen interest in learning. She was able to realize her passion for learning as a student at Cleveland Jr. High and at Pershing High School in Detroit. After graduating from Pershing High School, she attended Central State University in Wilberforce, Ohio. There she studied communications and radio broadcasting. 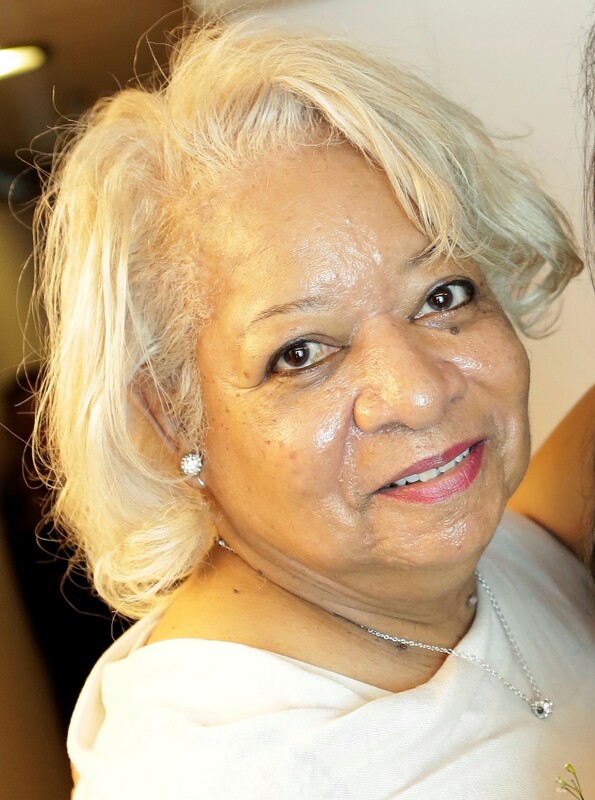 She enjoyed the art of radio broadcasting and served as a radio announcer for Central State University during the years she attended the school. Gwendolyn married in 1971 and from that union Julie (Swint) Jones was born. Gwendolyn always had an entrepreneurial spirit and spent most of her work career as an independent, self-employed medical professional. In her personal life she had a love of reading, cooking, home decorating, travel, and entertaining family and friends. Her love of entertaining was appreciated by all. Everyone loved going Gwen’s house for a backyard cookout and ‘cool out’ on the Detroit River. She revived her love of broadcasting most recently through her internet-based radio program where she interviewed guests and offered information focused on self-improvement and meditation. Gwendolyn leaves behind her daughter Julie Jones (Milton), two granddaughters Heather Simpson and Helena Simpson (Elijah) and three great-granddaughters Mikan, Spencer, and Hiro Yamauchi. She also leaves behind her devoted siblings Joseph Marshall Weir, William Thomas Weir (Sheryl), and Rhonda Lynn Steward; beloved nieces and nephews; and, a host of treasured relatives and friends. The family will be holding private services in Detroit, Michigan at a later date. When the enemy death strikes your grief can be great. It’s never the right time to say goodbye to a loved one. Death to many seems to be a part of life. It’s during times such as these that we can find comfort in the Lord’s Prayer in Matthew 6:9, 10. . . ‘Our Father in the heavens, let your name be sanctified. Let your kingdom come. Let your will take place, as in heaven, also upon earth’. Only God’s Kingdom can bring peace, happiness, perfect health, and everlasting life. We can be there to see them enjoy these and many other promises made by our Lord for ‘the meek ones who will possess the earth…’ Psalm 37:11. My sincere condolences to the Swint family for the loss of your dear Gwendolyn. May you all find comfort within your family and friends during this sad time. We look forward to the fulfillment of Gods promise found in John 5:28,29 and Psalms 37:29 when we will see our loved ones again.